Precious Heritage is reaching-out communities through the faithful partnership of some groups and individuals who are willing to invest for eternity. 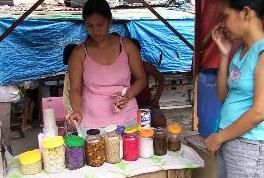 Thirty four percent of the population in the Philippines is poor. Those trapped in the cycle of poverty are born into families that lack the resources to send their children to school, to provide for their basic nutritional needs, and in general, ensure a proper environment for them to develop their God-given potential. 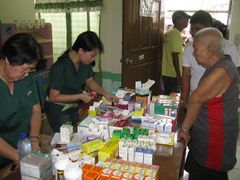 Every year, we are able to help families and communities through our Micro Enterprise Development Program, Community Development Projects,Medical and Dental Mission, and Relief Services to help the typhoon, fire and calamity victims. When you partner to Precious Heritage Ministries Foundation, you invest in a ministry that lifts communities out of physical, spiritual, and emotional poverty. 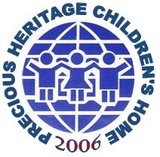 If you are interest to help our ministry and become one of our partners in helping the poor families and communities, please email as at preciousheritage@yahoo.com.